Television networks are being criticized for producing features on candidates who are running for the 2019 midterm elections. ABS-CBN’s drama anthology “Maalaala Mo Kaya” or “MMK” will feature the life story of Bong Go, former presidential aide and senatorial aspirant, on February 9. A teaser of it was posted on the show’s social media pages. Actor Joseph Marco will play Go’s character while veteran actor Philip Salvador will play as President Rodrigo Duterte. The episodes are scheduled to be aired days before the start of the official campaign period on February 12. Award-winning actress Glydel Mercado will play Villar’s character while Christian Vasquez will play as her husband former senator Manuel “Manny” Villar. Spoken word artist and actor Juan Miguel Severo criticized how these political figures have “infiltrated” the entertainment industry for their own interests. He also mentioned that a friend of his “got tricked” into acting a scene with Ilocos Governor Imee Marcos, who is also gunning for a seat in the Senate. “Infiltrated. Used. Weaponized. I know the lines between showbiz and politics have a long since blurred in the country, but everything’s unnervingly sneakier this time. May we all be careful in choosing whom we lend our voices to and whose voices we amplify with our platforms,” Severo said. Writer-activist Ogie Rosa, meanwhile, cited Duterte’s threats of not renewing the franchise of ABS-CBN as the reason for the network’s giving airtime to politicians allied with the politcal party, Hugpong ng Pagbabago. “Dati ipinagtatanggol pa natin ang ABS-CBN kapag inaatake ng DDS. Pero mukhang nabahag na nang tuluyan ang buntot nila sa pagbabanta ni Pduts,” Rosa said. Si Bato may pelikula courtesy of Bench Films. Si Bong Go naman may episode sa MMK. Dati ipinagtatanggol pa natin ang ABSCBN kapag inaatake ng DDS. Pero mukhang nabahag na nang tuluyan ang buntot nila sa pagbabanta ni Pduts. Last February 2, the story of Angara’s late father, Edgardo Angara was also shown in an episode of “MMK.” Veteran actor Christopher De Leon portrayed the role of the late senator. Duterte reiterated his opposition to renew ABS-CBN’s franchise, which will expire on 2020, last November and cited anew the alleged partiality of the network to his critics during the 2016 presidential campaign. Given the lack of measure that prohibits pre-election campaigning, many politicians have taken advantage of using the entertainment industry to promote their names. While it does not guarantee a win, being featured in a show or a movie is additional publicity. Section 6 of the Fair Election Act prohibits the showing of “movie, cinematograph or documentary” portraying the life or biography of a candidate during the campaign period. This means, as the Commission on Elections explained, the release or airing of such prior to the period is deemed legal. During the national elections in 2016, the life of then-candidate Leni Robredo was depicted in an episode of “MMK” three days before the start of the campaign period in February of that year. 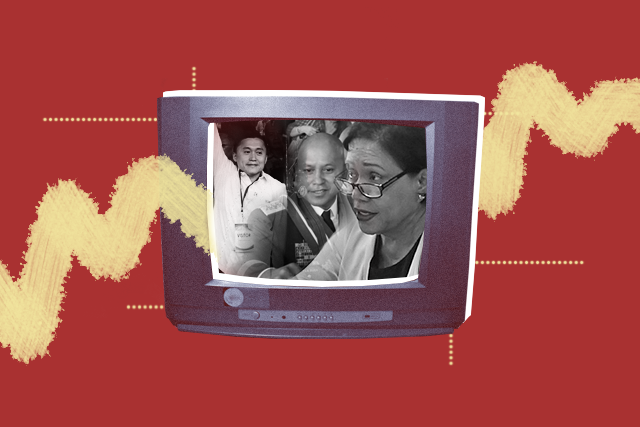 The program has previously shown a two-part series of episodes on politicians, namely, late Miriam Defensor-Santiago who won a Senate seat at the national elections in 2004 and aspirant Juan Ponce Enrile who also won at the mid-term polls in 2013.